There are few games that can keep me endlessly clicking like Civilization. From the inception of my first city to my inevitable hostile global takeover, Civilization always feels like an incredible ride from start to finish. I played it on my laptop many years ago with slightly dodgy framerates. I played it on my PC in 4K resolution and a criminally small UI. I’ve even played it on a Windows 10 tablet and an iPad, finally taking the Civilization experience with me wherever I went. 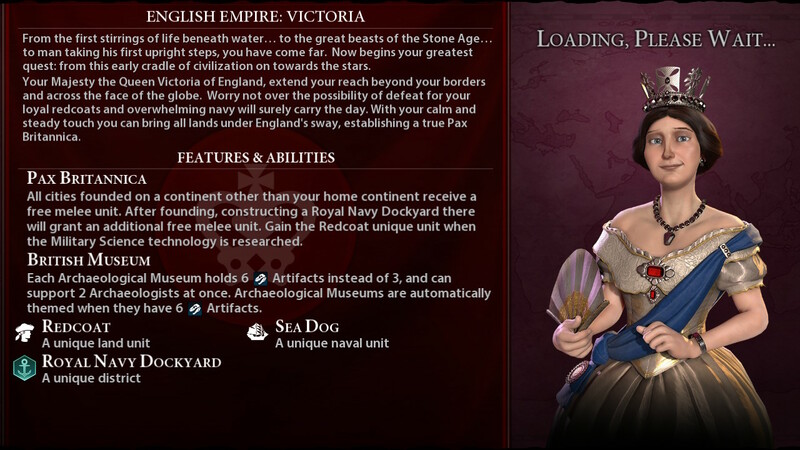 But now Civilization VI has come to Nintendo Switch, and it’s the first time the primarily PC series has landed on a dedicated game console. 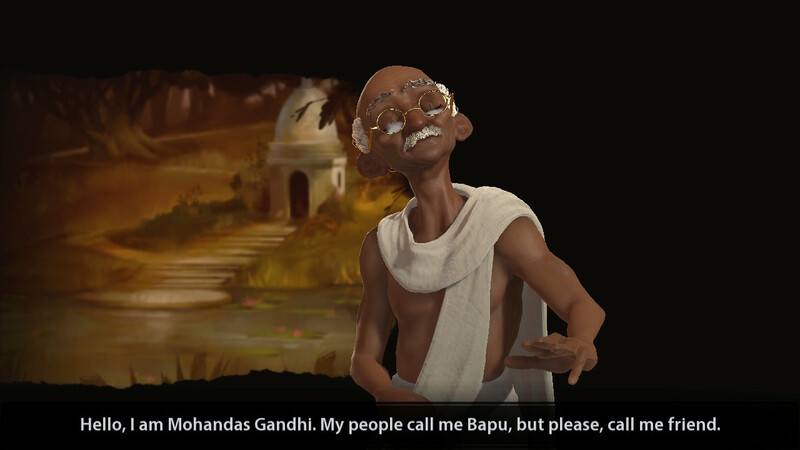 And if you’ve played Civilization, it’s easy to see why. The control system of the game is built for a mouse, primarily, and some keyboard shortcuts. Flicking across the hexagonal grid with an analogue stick just isn’t what this game was made for. A touchscreen, however, is a much more direct input method – though, even that isn’t necessarily the most accurate, and multi-touch gestures can be both difficult to memorise and awkward to pull off correctly. Which is actually exactly why Civilization VI works so damn well on the Nintendo Switch. Here, Civilization VI isn’t hampered by its control scheme and is instead enhanced by it. I would go as far as saying it’s the best portable Civilization, or even Civilization-like, experience you will find on a portable device. Unless you have an incredibly powerful laptop, of course. But I’m assuming this will be more portable for you. But let’s say you’re a Switch fan with no previous experience with Civilization – what is it, and where do you start? Simply, Civilization VI is a game where you simulate the creation and interaction of the human race. Starting from your first settlement and some warrior men with clubs, moving onto an interconnected nation spanning continents, complete with scholars and science. Or perhaps you’d prefer a militaristic nation, bent on ruling the world by force. Maybe even a peaceful religious country where you simply wish to spread the word of your faith. All of these are equal options, and all of them can lead to you winning. You build up your nation with initially small, seemingly inconsequential choices. Do we develop astrology or writing? Currency, or mining? Mining can, of course, lead to bronze working, weapons and science, whilst going for trade and currency could make your nation an essential and terrifying economic force in the world. All of the small decisions add up and unlock governmental policies for you to put in place, shaping the direction of the world you’re building. And at first, it all seems so meaningless – in the best possible way. When you’re initially defeating barbarians and protecting your first city, the decision to build a farm or learn animal husbandry doesn’t feel like an essential step towards something larger, but it is. And this is where your free time can start to whittle away quickly. You decide what productions your cities will move onto next, place your soldiers, click next turn. Make sure your scout is safe from the barbarians he found, next turn. 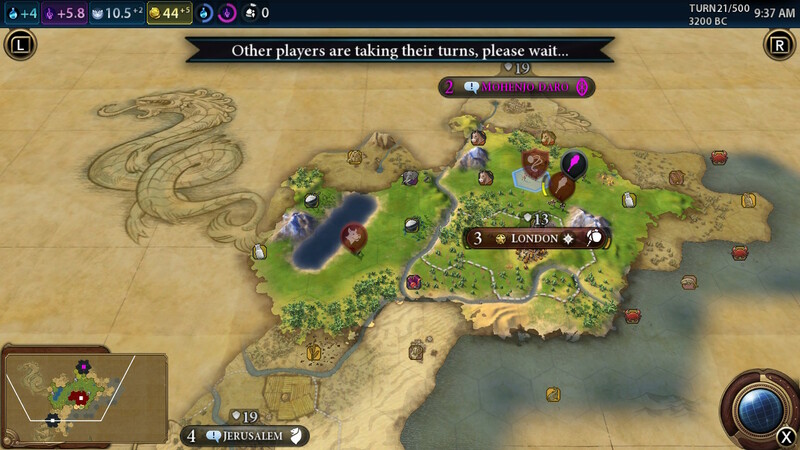 Build Stonehenge right next to London, next turn. Before you know it, it’s 3 AM, you’re going to war against Sparta, and are moving a nuclear submarine in range to strike them should they get moody with you one more time. With game speed set to Standard, it feels like a slow but important escalation of events, one that you can’t turn away from. You uncover the game map, make your alliances and enemies, and slowly work your way towards doing things that no other country can, with whatever amenities and skills you’ve built for yourself, whether that’s a powerful army, an enlightened religion, great wealth or a network of close alliances with your neighbours. And that is all without going into depth with the types of government you can put in place or the many buildings or improvements you can place in your territory. A powerful Theocracy can create offensive military units simply with faith alone, making a religious victory possible even through force. In addition to that, Civilization VI also added districts you can add. Districts can provide entertainment, education, religion, and much more. All of these will further develop your civilization and your nation, though depending on what victory condition you’re aiming for, they’re not all worthwhile. And now we return to the Nintendo Switch. To get the facts out of the way: it’s not as high resolution as you’d expect on PC. When moving across the map quickly, it can stutter, though not for long. Enemy turns require CPU power to calculate and on maps with more opponents, that is going to take a while to process between each turn. Oh, and the UI is huge – this is perfectly fine on the handheld screen, but when docked on a larger TV it can be a bit of an eyesore. 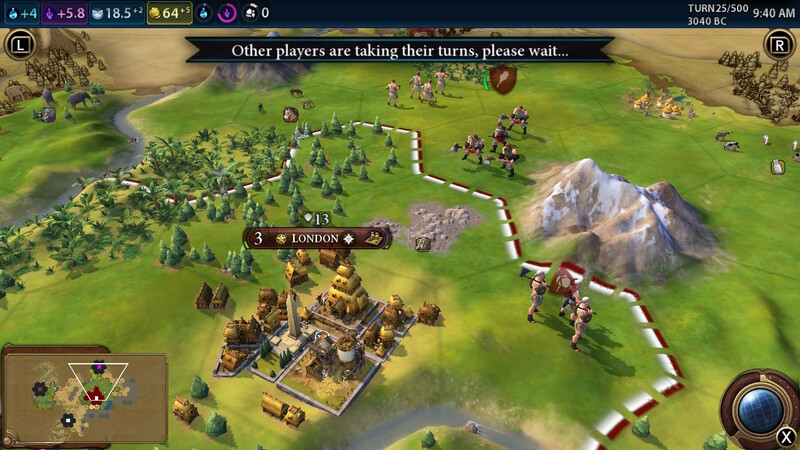 But what makes the Nintendo Switch version of Civilization VI the definitive way to play portably – aside from convenience – is the control scheme. Admittedly it took a little bit of adjustment time, but once I settled in, it was perfect. Broadly you can use the touch screen for almost anything, but then once a bit more precision is required, you can swap over to the traditional analogue stick and face button controls. There are a lot of things to click and buttons to press, which is why navigating your units individually with the physical controls makes sense so you can guide them precisely, while you can still tap icons or swipe around the map to look upon your kingdom on the touch screen easily. The changes made in the Nintendo Switch version of Civilization VI are all in the controls and visuals, and those changes have made for a fantastic handheld experience. You can absolutely play the game with nicer visuals and a tidier UI on a PC, but for a portable Civilization experience, it really doesn’t get better than this. What’s more is that Civilization VI is one of the best base-game Civilization packages available, so whether you’re brand new to Civilization or just want a portable version to play on the go, the Nintendo Switch is perfect.